Dip the wand in the mixture. Lift the wand and tilt it upward causing the small ring on the pole to slide down, opening the strings. Turn in a circle to ascertain which way the wind is blowing. 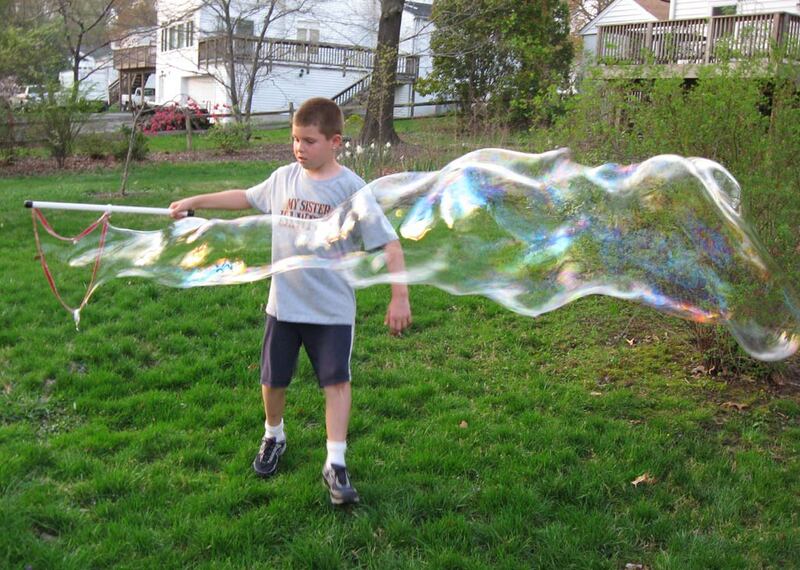 Once the bubble starts to form, move the wand in the opposite direction of the wind and the bubble. This should produce a long bubble. 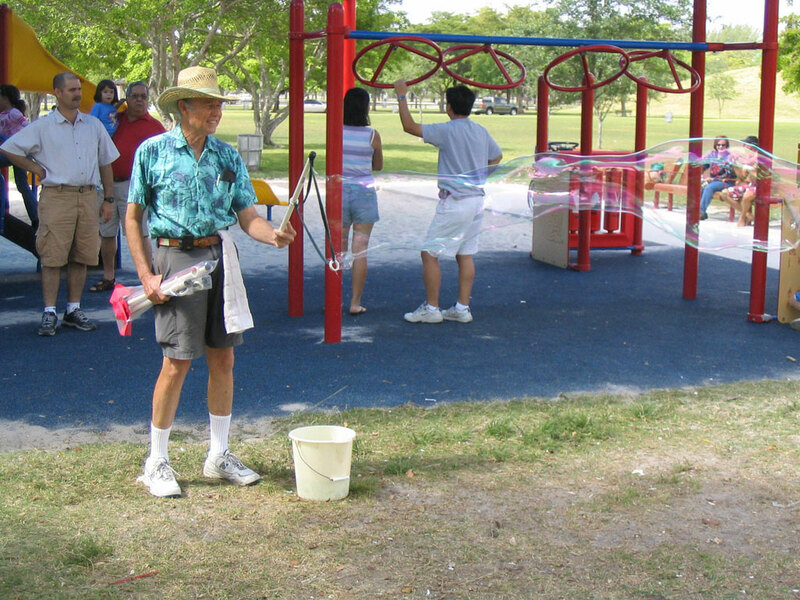 Begin blowing a bubble as described above. 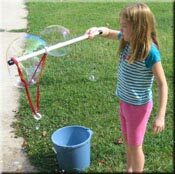 As soon as the bubble comes out, cut it off by slowly pointing the wand in a downward direction. This will cut off the bubble. Tilt the wand upward once more to blow the next bubble. 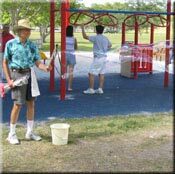 Bubbles will continue to form as long as there is solution on the fabric. Important! Dip the wand in the mixture. 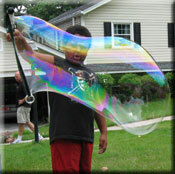 Do not stir as this will cause the fabric to tangle and you will blow smaller bubbles. 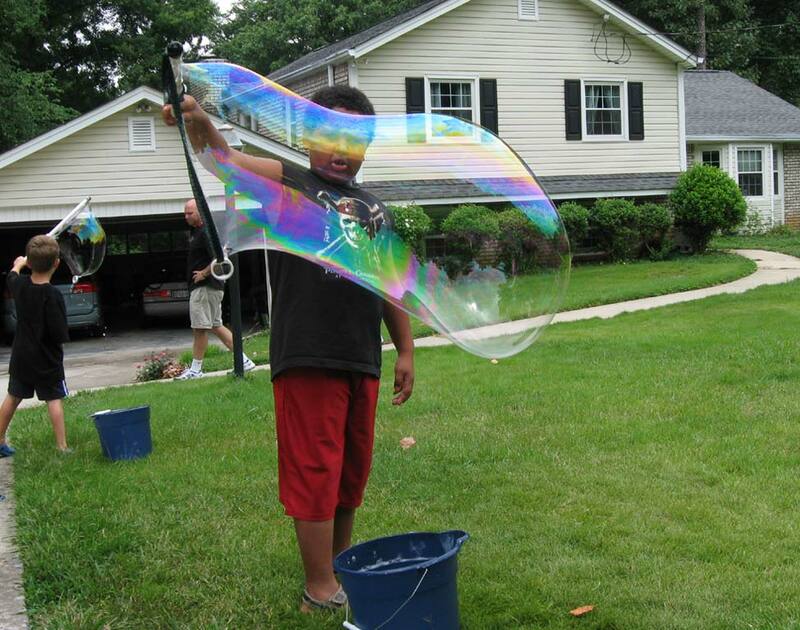 Thicken your bubble mixture if your bubbles seem to break quickly. If there is an updraft, the bubble will rise. 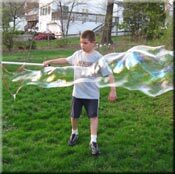 There is little that you can do - the bubble is dependent on the elements. If it is windy, stay in the backyard where perhaps a fence or trees will block the wind. 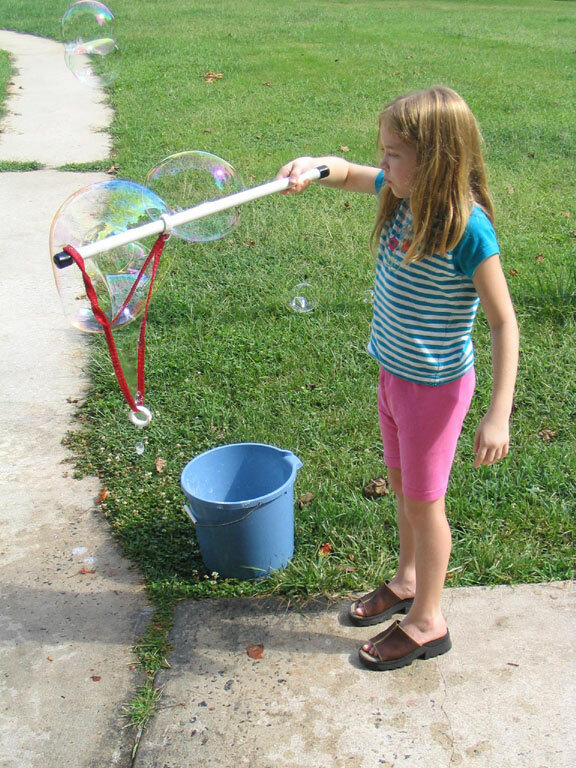 Gusty wind will pull the bubbles apart and actually prevent you from blowing bubbles. 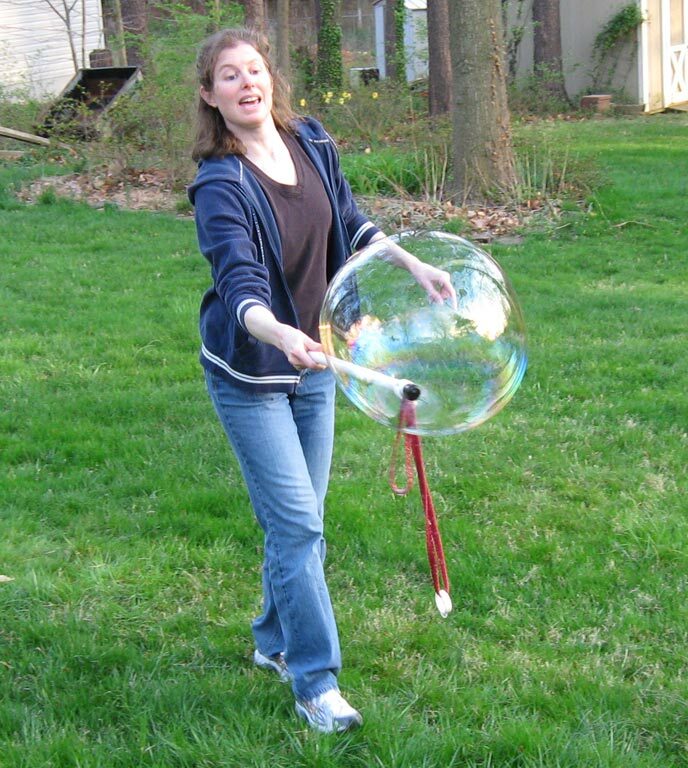 Another interesting facet is that bubbles will die if they touch anything dry and stay alive if they hit anything wet. You can catch a small bubble on the	end of the wand because the wand is wet. The bubbles will actually bounce on water and then form a half dome. The wand fabric will eventually tangle. This is usually due to stirring the wand in the bubble mixture. If the fabric does tangle, grasp each string below the tangle, let go of the wand and let the fabric unwind (kind of like unwinding your telephone cord). If all else fails, pull off the cap holding the strings. When you replace the cap, make sure that the weight, which is the large ring, is on the long string.